Are you and your family at risk? Take the Fire Risk Assessment. 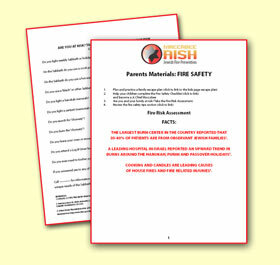 Please click on the image below for an informative booklet about fire safety (PDF Format). The booklet is in PDF format. Click here to download the free Adobe Reader for Windows. The largest burn center in the country reported that 30-40% of patients are from observant Jewish families1. A leading hospital in Israel reported an upward trend in burns around the Hanukah, Purim and Passover holidays2. 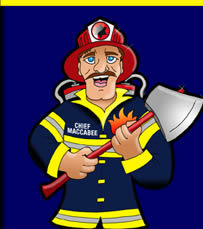 Cooking and candles are leading causes of house fires and fire related injuries3. If you answered yes to any of these questions then you are at risk for a fire and related injuries. 1. Schwartz, S. (1995) Fire! Jewish observance and burn prevention. Retrieved from Tzemachdovid.org on May 6, 2005 (back). 2. Hemmo-Lotem, M., Jinich-Aronowitz, C., Endy-Findling, L. et al. (2005) Child injury in Israel: emergency room visits to a children’s medical center. Scientific World Journal. 253-263 (back). 3. United States Fire Administration (2001) Topical fire research series: candle fires in residential structures. Retrieved from FEMA on May 11, 2005 (back).